February 12, 2009 | Max The Mischievous Mutt. It is amazing how quick time passes. A number of incidents has delayed this issue. It seems like yesterday it was Christmas. Any way I will try to get another issue out soon. As a child I loved Rumpole of the Bailey. Dad would watch whilst Mum watched the soaps. She still has no taste in TV. 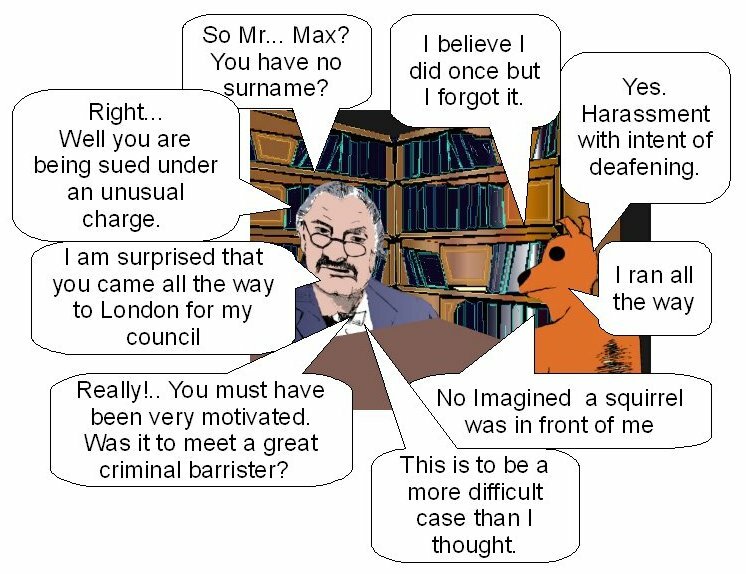 Anyway since Rumpoles creator John Mortimer has died I thought I would do a storyline including the cunning Rumpole. I spent ages trying to get him right. Not there yet and I couldn’t procrastinate any longer. So here we are.